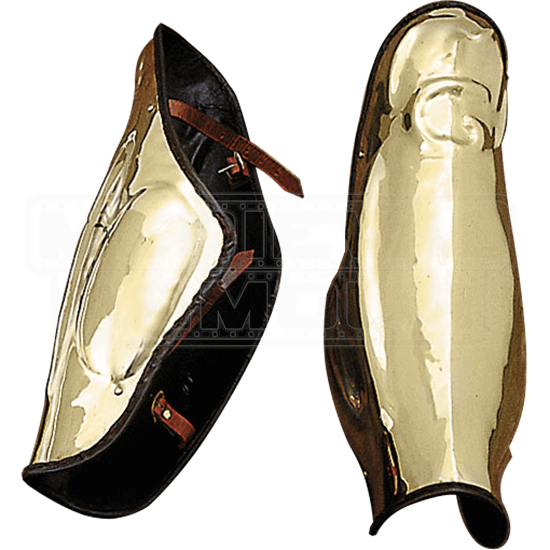 A greave is a piece of armor that protects the leg. These Greek Archaic Brass Greaves are modeled after the simple yet functional greaves that were favored by Greek hoplites, being folded segments of metal that protect the front of the leg. Classic Greek greaves were traditionally made from bronze, although the polished brass finish of these greaves makes for a nice match when paired with Greek armor as well, especially when placed side-by-side with the glimmer of a bronze Spartan armor. These greaves stretch from the ankle to just below the knee and are worn using buckled straps around the back of the leg. 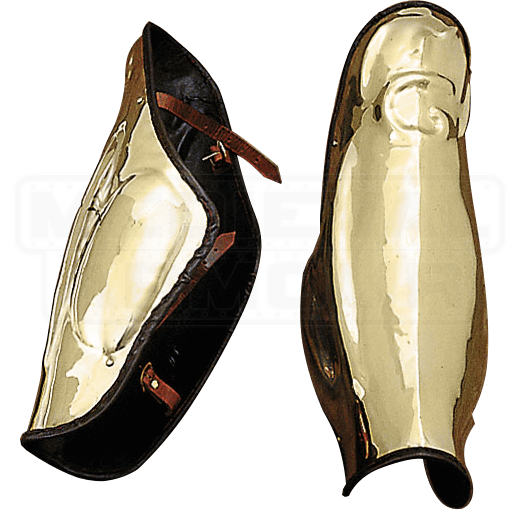 For the re-enactor who wants an impressive yet accurate look, he or she needs look no farther than the Greek Archaic Brass Greaves.